← Nightmares From The Sunshine State: A WiH Interview with Lori Bowen. Born in Alabama and now a resident of the Sunshine State (Florida has been represented fantastically in these interviews!! ), Sage Hall has that ‘it’ factor that so many people talk about when critiquing a film but most cannot nail down, no matter how many acting workshops they attend. Maybe it’s her jaw dropping beauty. It could be the way she submerses herself in every role she takes on. It’s probably a mixture of both of those things, plus the fact that she has an incredible life story of teaching and learning the art of acting. After all, it’s been her life long passion. As a sixteen year old, she spent the year in London studying Shakespeare. At the age of twenty, she drove out of Alabama and headed to LA with little more than her fierce determination and everlasting love for theatre. Perhaps more impressive than her work as an accomplished Woman In Horror (writer, director, editor, producer and actress) is the fact that she started Starfruit Productions. The company specializes in what Sage affectionately refers to as “wedding films”. With a true knack for capturing that special moment behind the camera- whether it be the first kiss of a married couple or the first victim of a psychotic monster- Sage is truly a talent to admire and respect. She has carved a fantastic niche in the world of acting, and the horror genre is lucky to have her adding her talents to it. Her first short film, CANDY, had Hall playing the lead while also directing, producing and editing the project. The film earned widespread acclaim. Then came THE COUCH, which Hall wrote, directed, produced, edited and acted in. Both films are under the Starfruit Productions label and the sky’s the limit for both the company and Mrs. Sage Hall! Please take a few minutes to check out the conversation I had the pleasure of having with Sage recently! 1. You worked with Lori Bowen on JustUs. What appealed to you most about this project? I’ve had the privilege of working with Lori on several projects and she is always such a positive force, I was delighted when she asked me to step into the project. I know that as a director, Lori has such a clear vision about her films. So if she saw me in the role, I had complete faith it was the right decision. She will be joining us on the set of Candy. Second Helping in January and we are thrilled, she has been such an active part of our productions, it was really great to be on her set as well! 2. You did just about everything in The Couch, a film that has achieved impressive accolades on the film circuit. What’s it like wearing just about every hat during a project? What are some of the advantages and disadvantages of having so much responsibility during a filming? I actually had quite a team for The Couch. We had a crew of about 20 and a cast of about the same size. We had five writers, four producers and my fantastic DP Wheat. It was really amazing heading that ship. We had a grueling 24-hour shooting schedule outdoors in 14 degree weather! Luckily, because it was a vignette piece, none of my actors were out there for two long, but Wheat, Lori and I were there for the full 24! On the set of Candy, it was pretty crazy. I actually shot the first scene by myself in the mirror! Wheat shot the rest, but other than that we had a crew of one and he was sleeping on the couch most of the time. The sequel, Candy. Second Helping, will be much different. We are so happy to have so many wonderful people on board to bring her back to life! 3. JustUs has become a huge hit across the indie horror scene, thanks in no small part to your helping bring Lori’s incredible vision to life. How many of the screenings or premiere events have you attended for this film? I wish I could attend them all! I am so happy that the film is being received well and delighted that I could be a part of it! 4. Dealing with such a dark issue that resonates throughout our society, what did you do to prepare yourself for your role in JustUs? I find that every role I prepare for has a different process. Some are innately closer than others. In all honesty, after I read the script, I “got it” right away. It WAS inside me. I have a sister I am very close with. The thought of the absolute hell of going through a situation like that was all the prep I needed. That, and I trusted my director completely. 5. 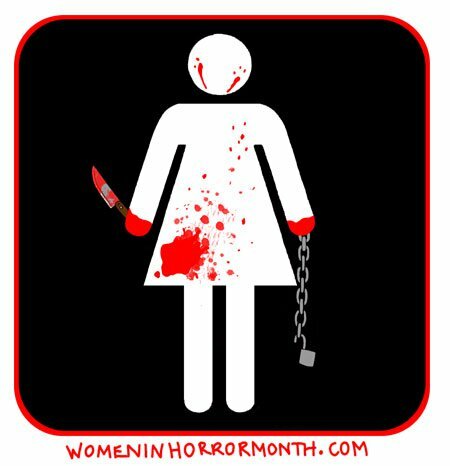 As a Woman In Horror, why do you feel so many people still seem stubborn or even uncomfortable admitting that horror is not simply a man’s domain? Well, Justin, unfortunately, it is not just the world of horror that this happens in. I do feel like perceptions are changing on all fronts, but women have been dismissed as leaders for thousands of years. I am optimistic that this is changing, as evidenced in your fantastic outlet that you are creating right now! I think we will continue to see women embrace the characteristics in themselves that have been seen as “masculine” such as leading, learning technology, math, science…. And more men are beginning to recognize their “feminine” qualities; nurturing, listening and being empathic. 6. What roped you into the horror industry? Jesse Kozel. When he approached me with his idea about Candy I could not resist! Since then I have been absolutely amazed at how warm and receptive the horror community is! I have always loved telling stories. A good story is a good story. The genre does not matter. 7. Who are some of your favorite Women In Horror characters? Kathy Bates in Misery is pretty freaking awesome. 8. As a director, what makes for a great horror film in your eyes? I look for the same things in a horror film that I do in any film. Does it tell a story on different levels? Emotional, political, sexual…. Am I interested? Do I feel passionate about it? 9. You’re an alum of the Viscera Film Festival. How amazing is it to see the hard working women of the genre come together and celebrate each other’s work? It’s f-ing incredible! Shannon Lark and all the leaders at Viscera are forging a pathway for more female directors and women in all capacities of film. I absolutely love it. I am also excited to say that Shannon has asked me to join the Viscera team as an editor and I am so thrilled to be a part of the organization. 10. Is there a sub-genre of horror you would like to see get more attention, speaking as a fan of the genre? I love psychological thrillers. I am always game for more of those! 11. What advice would you offer a young woman interested in delving into the world of horror? Do it! Grab your camera and make something. You have to start somewhere and there is no way better than just doing it. It’s also a great idea to get onto a set. Help out as an assistant or PA. It’s a great way to learn. I greatly apperciate all of Sage’s time and enthusiasm! It was a blast chatting with her and I look forward to many, many more amazing projects coming from her and Starfruit! Do yourself a favor and check out Sage’s IMDB page for more info on her fantastic work! Take a look at Starfruit Productions’ website!